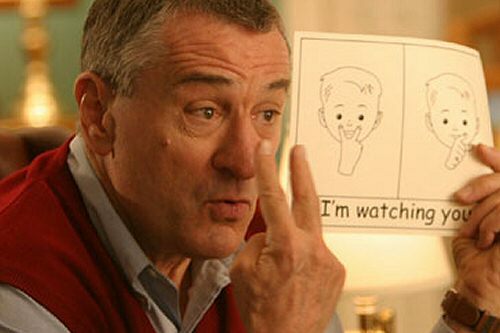 From Little Fockers, c/o Universal Studios. Here’s a creepy case from New Jersey. “The Watcher” is an apparently disturbed individual writing threatening letters to the new owners of a “dream home.” The new owners aren’t suing the Watcher; they’re suing the sellers for not disclosing “a disturbing letter from an individual who claimed a right of possession and/or ownership interest in the home.” The insanity begins at paragraph 12.